The Diver 4000 does show it´s new 44mm x 18,5mm case with pride. Perfect proportions, extra large dial and wide hands for best reading and a pressure resistance up to 400 bar = 4000m. 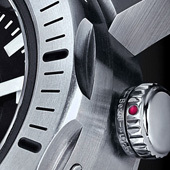 Additional the bi-directional bezel with locking function. This professional tool watch will not let you down. 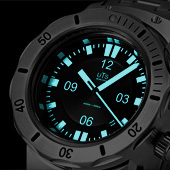 It is designed for the tightest mission under water ! DIVING DOWN TO 4.000 M DEPTH ! 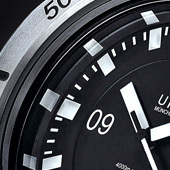 As the successor to our nearly sold out 3,000M Diver, the new 4,000M does not rest on it's laurels. the watch case has grown 2mm in size, and measures 45mm in diameter. Featuring a larger dial, and a thicker sapphire crystal. 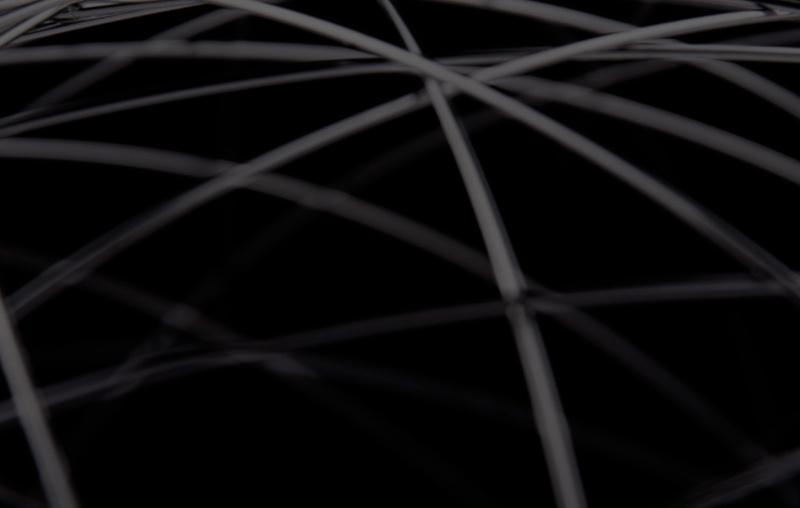 The new 4,000M case is highly complex in it's design, and elegant in it's appearance. The massively thick 6mm sapphire crystal is screwed into the central case for perfect seal and pressure resistance up to 400bar = 4000m. Developed, built and tested all in-house in Germany. A screw down crown stem as well as screw down crown with diameter 8mm for perfect grip and operation under all conditions. Machined lug adapter 22mm screwed to the central case. 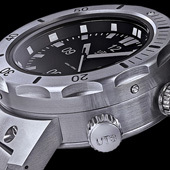 Bi-directional rotating diver bezel, 60 positions. Among the unique features of this watch is a second crown at 2'O’clock that locks the bezel in place by a ceramic ball bearing system. Of course like all of our watches Industrial seals, and a case-back is screwed into place. The massive 4mm thick case-back uses 8 screws M1,6x4 DIN 912 V4A, engraved with individual serial number. Movement is the ETA 2824-2 Top grade version with Glucydur Balance wheel, Incabloc shock protection, and UTS engraved rotor.